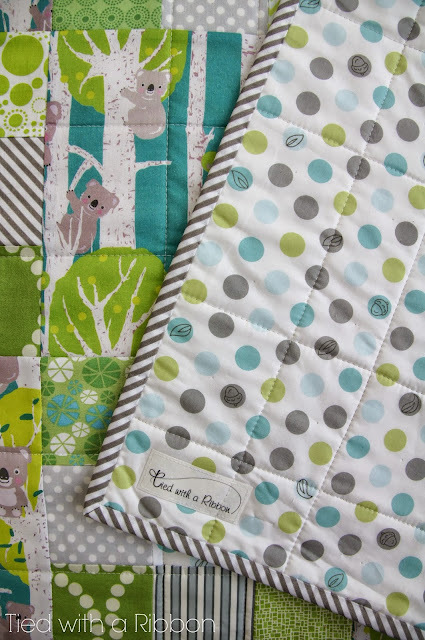 What else could an Aussie family living abroad want on a quilt for a new baby on the way - Koala's of course! 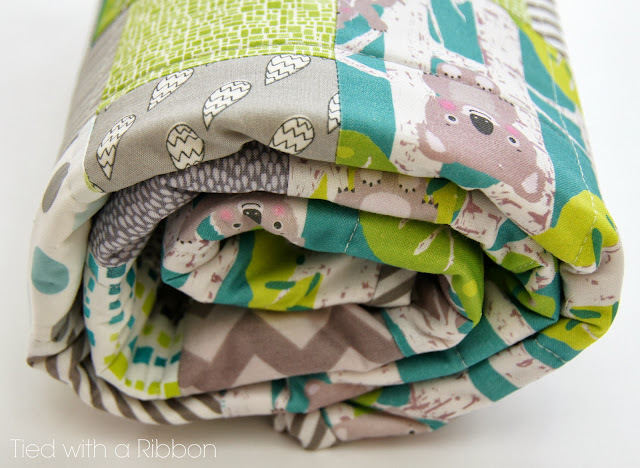 If you remember a while back I was ordering some fabric from Spoonflower as I had had a special request for a quilt for a baby on the way with Koalas on it. Almost thinking that there would be little chance of finding Koala fabric with greys and whites that would be suitable for a new baby I was proven wrong. Knowing that I had not seen any in any shop around after checking on Spoonflower this Koala fabric could not have been more perfect. I love that the gender of a baby is a surprise but keeping quilts gender neutral can be a little tricky. 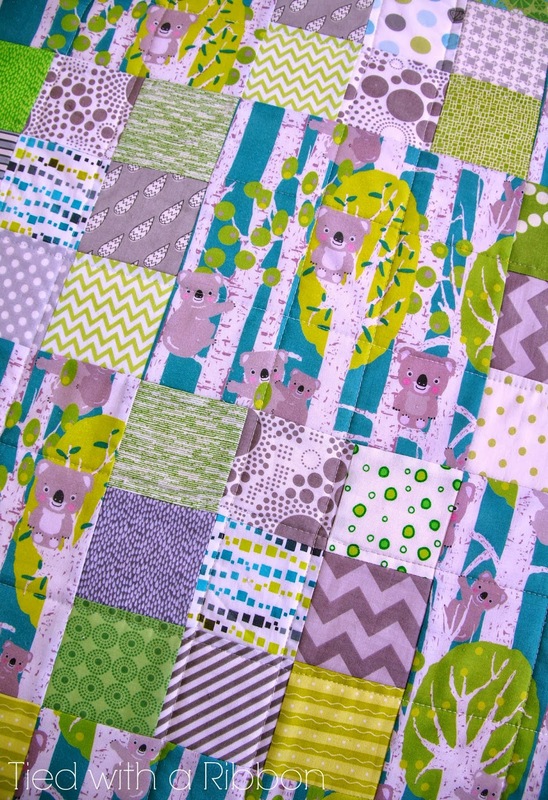 I cut the Koala fabric into large squares and then made up nine patches in matching fabrics to make up this quilt. 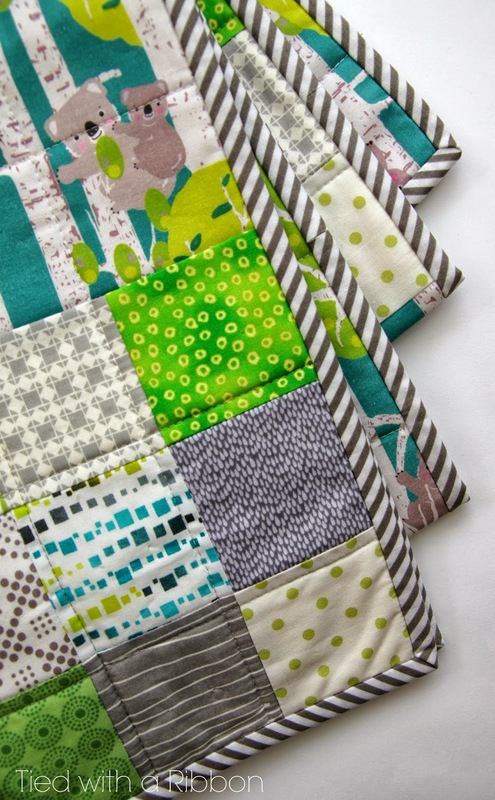 The backing is a Michael Miller fabric and just matched the greys, aquas and greens perfectly. The Grey and white stripe Bias stripe binding is from Tasha Noel's Little Red Riding Hood range. So after winging its way to the States this special order quilt has made it to its new home to be received by a new Baby Boy.